This is my first finshed project so dont be to Harsh. But this looks like terragen to me. Correct me if I’m wrong. Ya definitely looks like Terragen. Looks cool though. If this is pure Blender though, it is phenomenal! 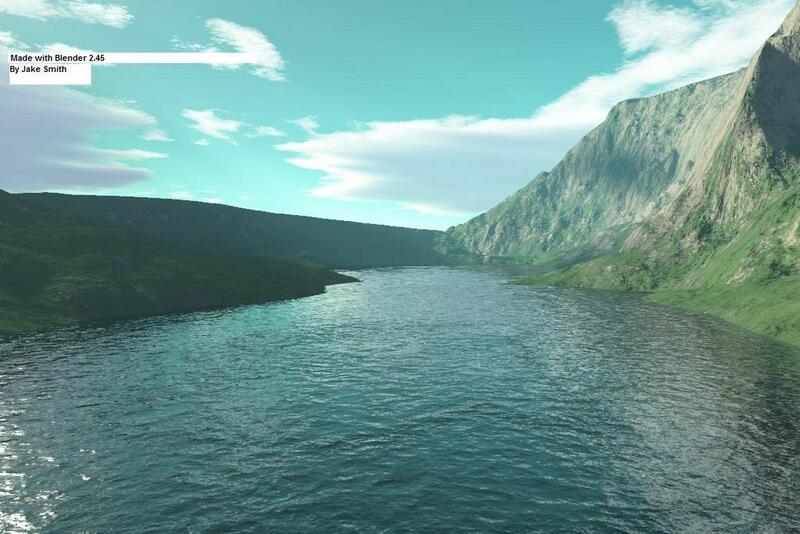 I used terragen for the ground layout then I imported it to blender for texture,water and bump mapping. I used YAFRAY for the rendering. Sorry to be skeptical but i’ve used terragen a bit and everything about the image looks completely terragen. The way the clouds are rendered, the textures, the water. Yup yup. If this really is made with Blender then a wire would be nice. Terragen generated, imported into Blender and rendered? its looking real. How you made so natural waves? The “waves” are too big compared to the landscape. other than that good work! They can be big with wind blowing. No problem, but the work is great.